It’s rare that I ever run out of tahini (sesame seed paste), especially since it’s been mainstreamed into the product line at most grocery stores. But did you know that - if you were so inclined, you could make your own? Well, you can - and - it’s not hard to do. 1. Preheat oven to 350°F. Spread sesame seeds on a parchment-paper-lined shallow baking pan and bake for 6 minutes. Mix, spreading out the sesame seeds, and continue to bake for another 6 to 8 minutes, or until seeds are fragrant and lightly brown. 2. Immediately spread toasted seeds on a separate baking pan allowing the seeds to cool. 3. Place cooled sesame seeds in the bowl of a food processor (fitted with a metal “S” blade) and grind for 1 minute, or until seeds break down. While processor is running, drizzle in olive oil through the feed tube, and continue to grind for 2 or 3 minutes more, or until a smooth paste forms. If mixture is too dry, then add more olive oil, 1 teaspoon at a time. Add salt to taste, if desired. 4. 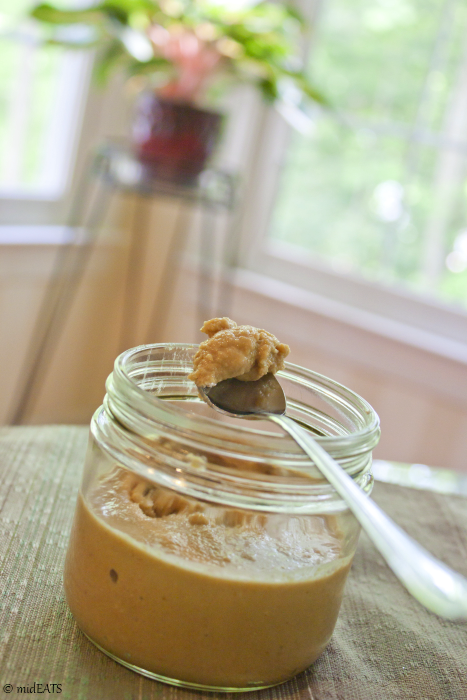 Transfer tahini to a container with a tight-fitting lid, and store in the refrigerator for one to two months.